Herbs are such a wonderful addition to any dish. 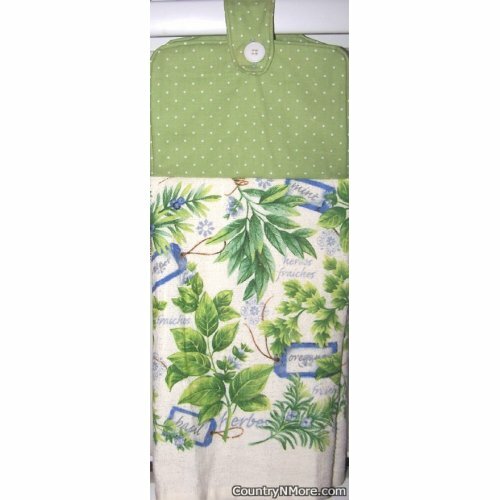 If you like herbs and use fresh herbs in your dishes, then this oven door towel is perfect for you. You will find oregano, basil, and mint. We use full towels for all of our oven door towels and every oven door towel has a button closure.